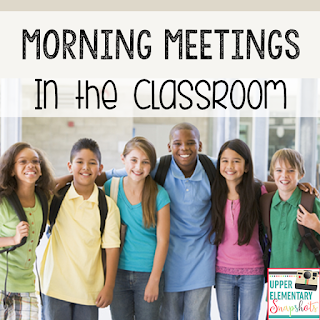 Have you been thinking about adding morning meetings to your classroom? 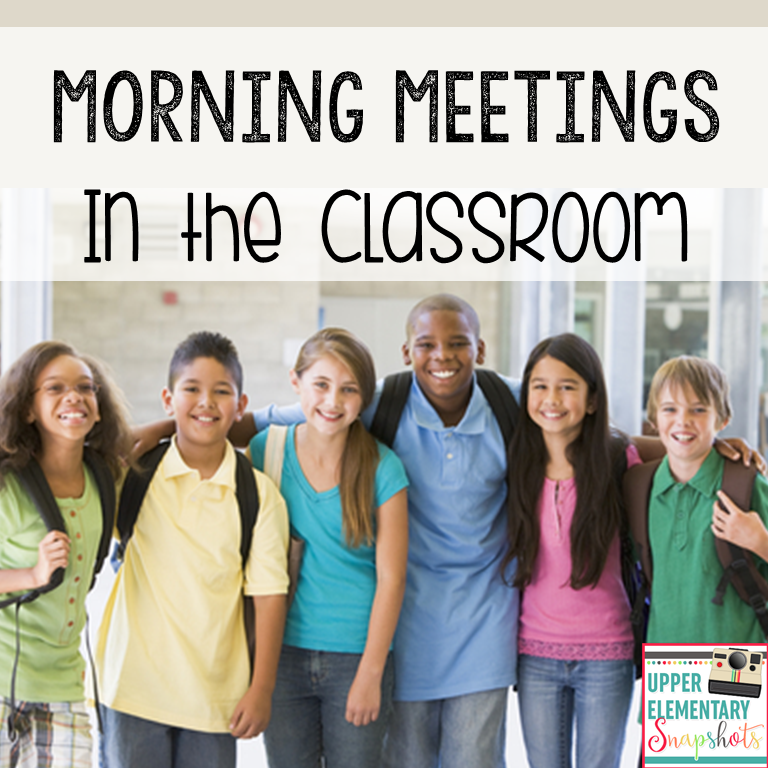 I love doing morning meetings and have seen how effective they can be over the years in my 2nd - 5th grade classrooms. When other teachers sometimes ask me how I fit it all in, I try to explain that doing morning meetings has so many benefits that I feel like I gain time with better classroom behavior and community. So, what are the benefits of morning meetings? The morning meeting began as part of the Responsive Classroom Movement, years ago. While I love their work, as with everything in the classroom, you kind of have to tweak things and make them your own. 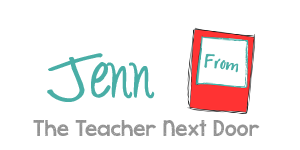 My version is NOT a Responsive Classroom traditional model but it works for me. I'll share what I do here but I don't believe by any means that it's the only way to do morning meetings. 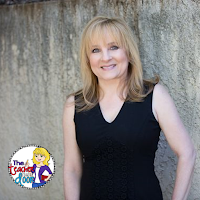 Teaching is kind of a smorgasbord... take what you like and what works and leave the rest! You'll want to have a place where the whole class can gather and sit comfortably. Some teachers use a rug, some teachers like to have the kids sit in a circle, but my meeting area has a futon, 2 chairs (mine is on the left here) and lots of carpet space. When I assign classroom jobs for the week, some of those jobs are tied to the futon privilege (that person is allowed to invite 2 - 3 kids to join him/her on the futon for the meetings) and the chair is another privilege too. The rest of the kids sit criss cross on the carpet facing the futon. Find your spot quickly and quietly (kids sit wherever they'd like unless it becomes a problem. It rarely is a problem). Sit criss cross if you are on the floor. Must be about you or someone in your close family - no sister's cousin's boyfriend's mother. Must be school appropriate (always have to put that one in for the few kids who try to push limits). May not be about dreams - Sorry, just not interesting for other people. May not be about video games - If we're not playing, we don't want to know (I added the last two rules for myself because I can't take it any more, people!). Our morning meetings are character education driven. I have always believed in teaching to the whole child. One of the best things about being a teacher is that we can influence the world by helping to shape the lives of the students in our class. 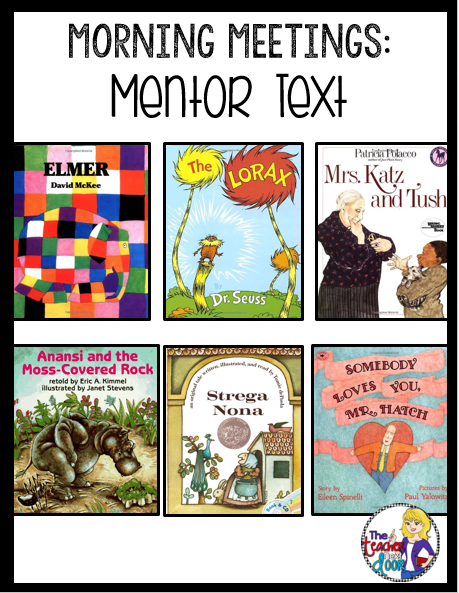 So, each month, we focus on a character trait and our read alouds for morning meetings revolve around that trait. After the read aloud, we briefly discuss the character trait examples or nonexamples we saw in the story. 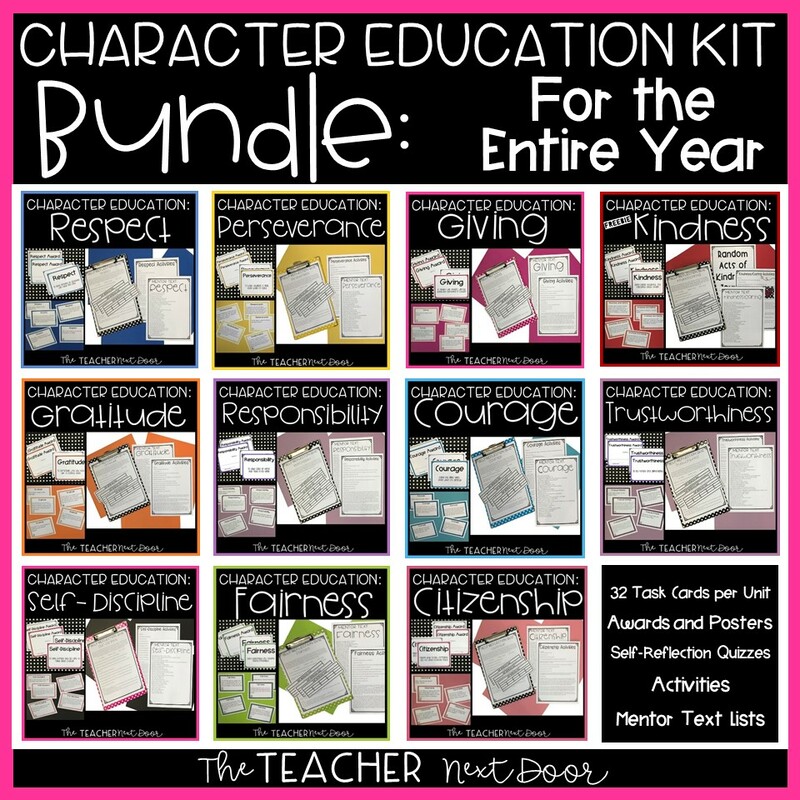 If you're looking for specific titles, I do have a great list in my Character Education Bundle Kit that I use for all of my morning meetings. This part of the morning meeting can be so much fun! The trick is to keep it interesting by adding some variety in the kinds of activities you choose. Again, pace is important and the younger the child, the shorter the attention span (in general), so fast and fun is what we want. One of the things you could do related to character education is to have the kids take a self-reflective quiz, to see how they are doing on a particular trait (no one shares the results and they don't even tell me. They love these though!). Sometimes we do discussion task cards that go with each trait. We also do something completely unrelated to character education to practice social skills and simply to build community and to have fun together. We may play Would you Rather (ask a question with 2 possible answers and each child answers), or play a game we call Name Four. One child is it in the center of a class circle and I name a category (names of presidents, names of capitals, names of football teams...) and the child who is it tries to name 4 things before a bean bag/ball/small stuffed animal is quickly passed from one classmate to another and back to me. There are millions of things you can do. Google for lots more ideas! I do have one resource that I use for morning meeting faithfully. 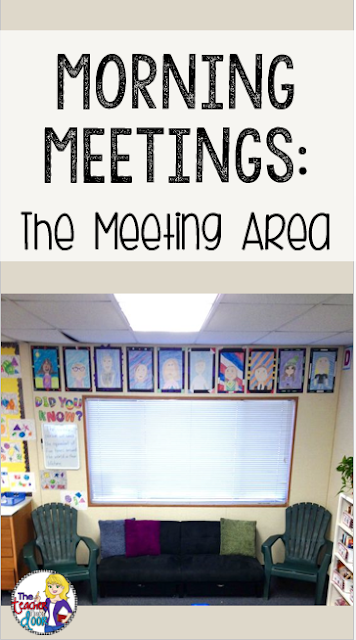 It was a labor of love to create and while you can do morning meetings without it, this is a true time saver and something you may use year after year. 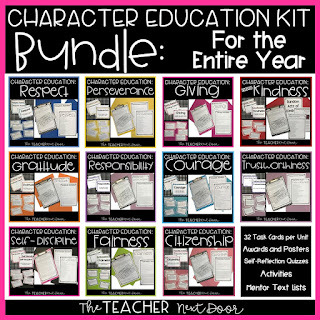 It is an 11 unit (choose your favorites or use the extra for summer school) Character Education Kit for grades 2nd - 5th. 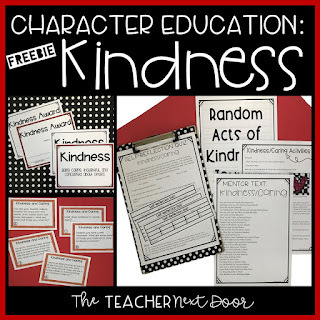 I also have a FREE Kindness Unit that will take you through a month if you'd like to give it a try. 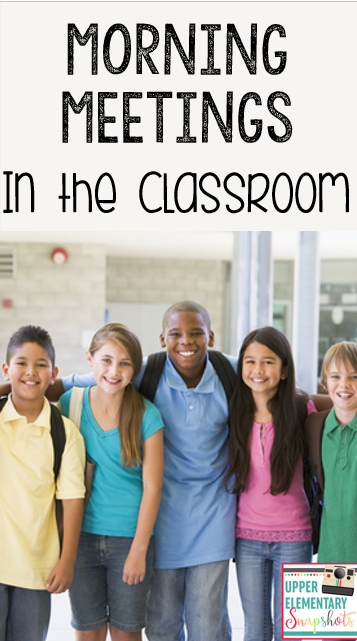 Even in a high stakes testing era, relationships matter, classroom community matters and morning meetings are an effective way to have an impact on your students as individuals and as part of a classroom community. Interested in making your Morning Routines more effective? 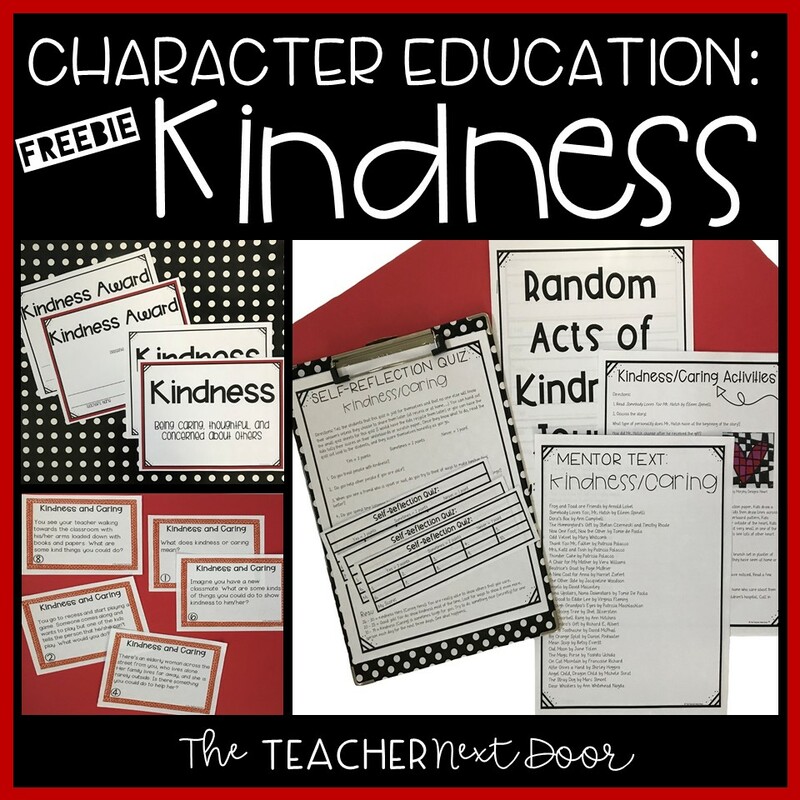 If you'd like to read about how I add Character Education to my classroom and to Morning Meetings, click here.